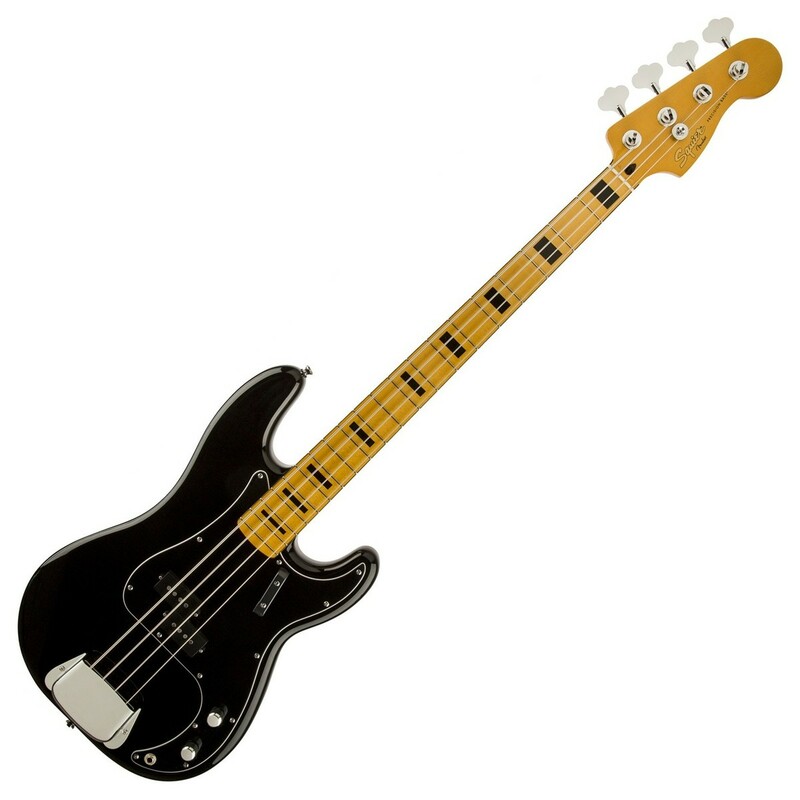 The Squier by Fender Classic Vibe 70s Precision Bass Guitar delivers an authentic 70s experience, offering classic sounds, style and feel for the modern player. 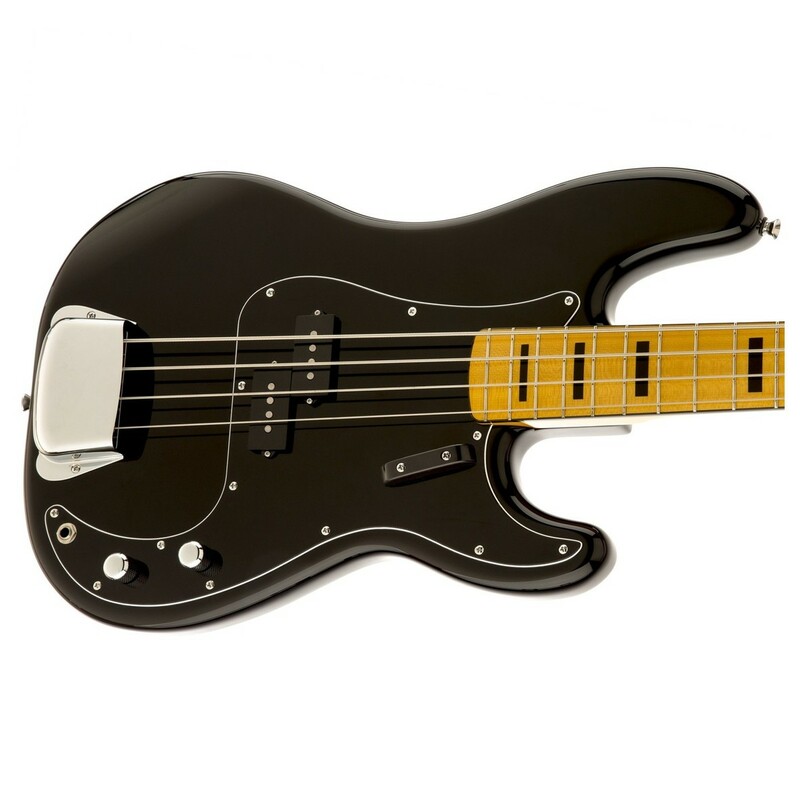 A lightweight basswood body in a sleek black finish provides the bass with a comfortable performance, while the vintage-tint maple neck and fingerboard provides a beautifully smooth play. A single custom split single-coil pickup delivers the Classic Vibe’s vintage sound, providing plenty of warmth and old-school earthy tones for the ultimate classic feel. 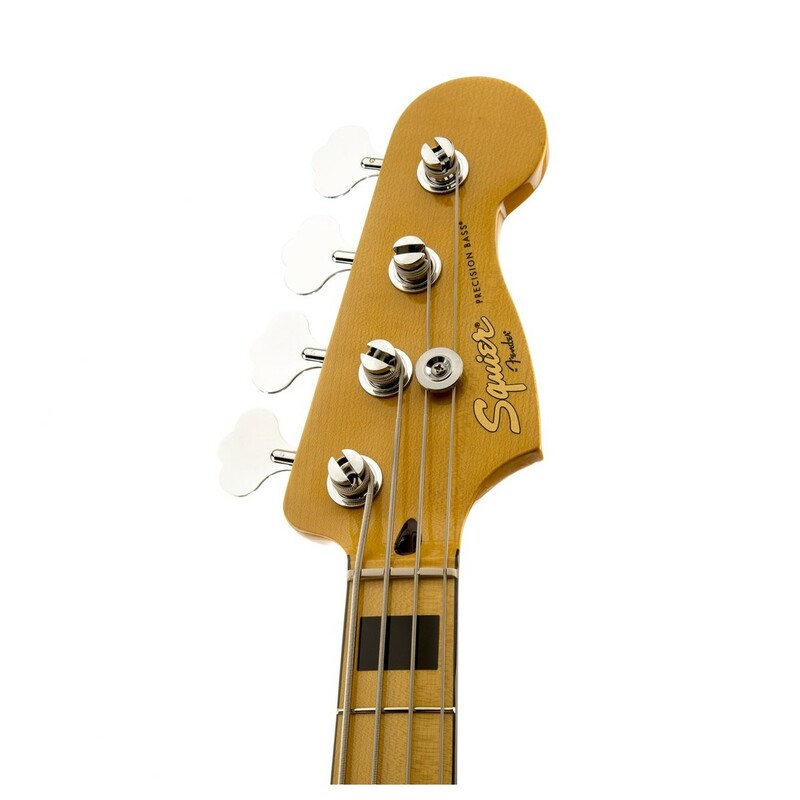 Reintroducing the classic style and sound of the 70s, the Squier Classic Vibe 70s Precision Bass is perfect for any player wanting vintage tones with modern reliability. 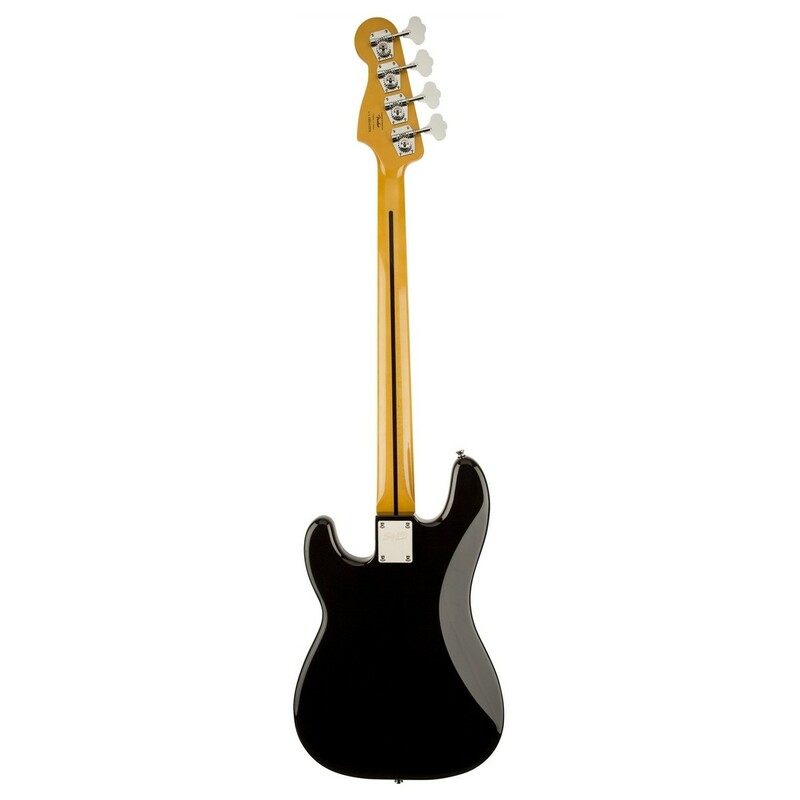 Made from lightweight basswood, the 70’s Precision Bass is comfortable and offers an effortless play. Fitted with a modern “C” shaped maple neck and fingerboard, the bass not only looks great but allows for a seamless blend of control and speed. 22 vintage style frets breathe new life into every single note, offering incredible clarity across the whole of the fingerboard. A single custom split single-coil precision bass pickup is set in the middle position, delivering a powerful tone with clear highs and a beautifully warm vintage-style characteristic. 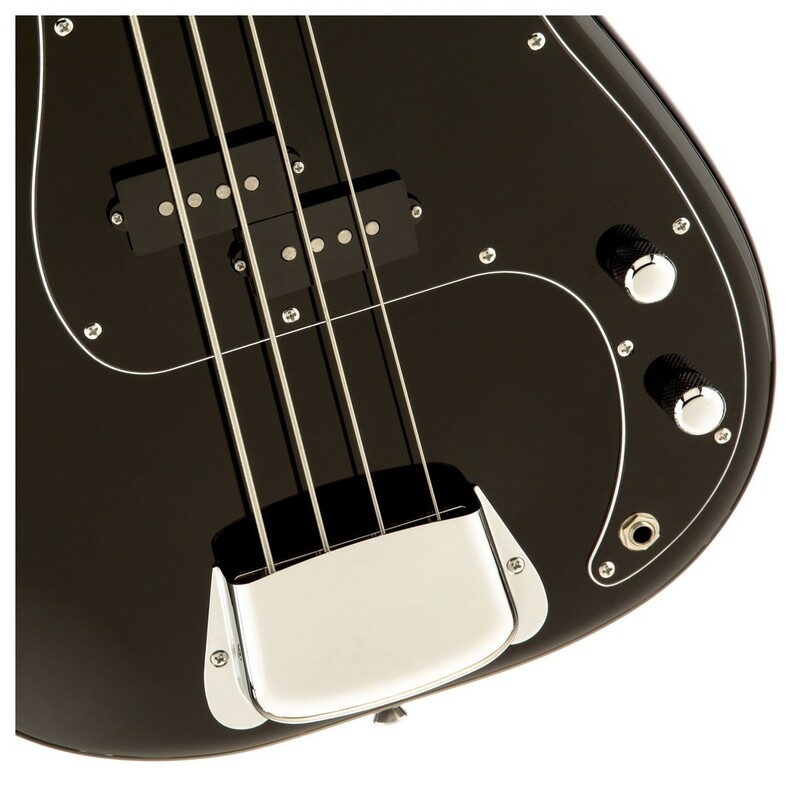 As well as offering a wide variety of superb tones, the Classic Vibe P Bass also features Fender’s HiMass bridge which improves every note sustain and resonance. The bridges design enhances the attack of the bass, creating a lively tone while brass “barrel” saddles provide excellent intonation. 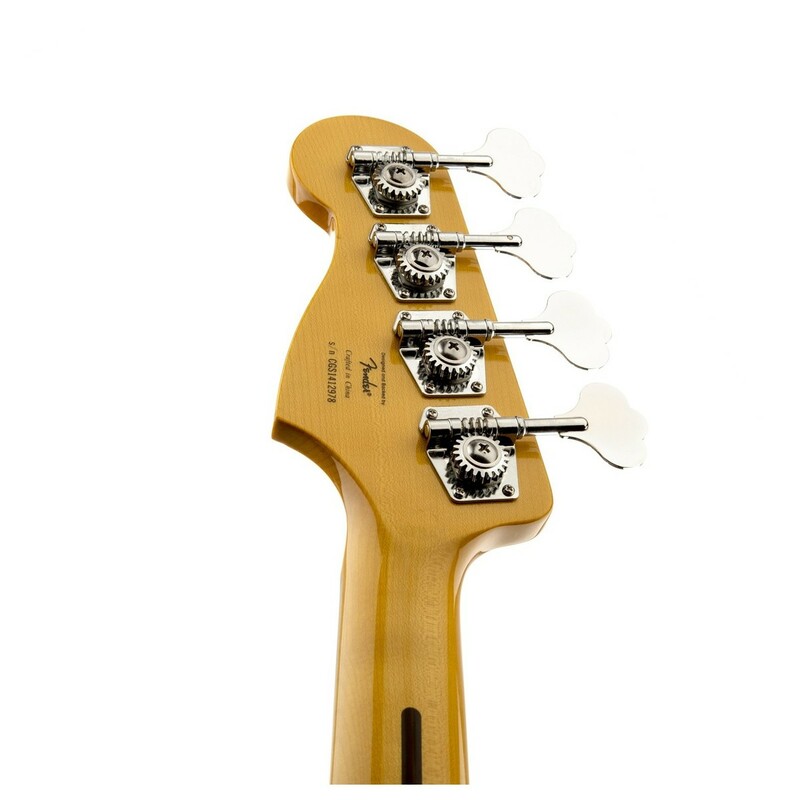 Featuring a carefully fitted synthetic bone nut, the Fender delivers an increased resonance and bright tonality. When compared to traditional plastic and Tusq materials used to construct guitar nuts, synthetic bone improves the vibration transfer between the string and tuning machines without dampening the tone.